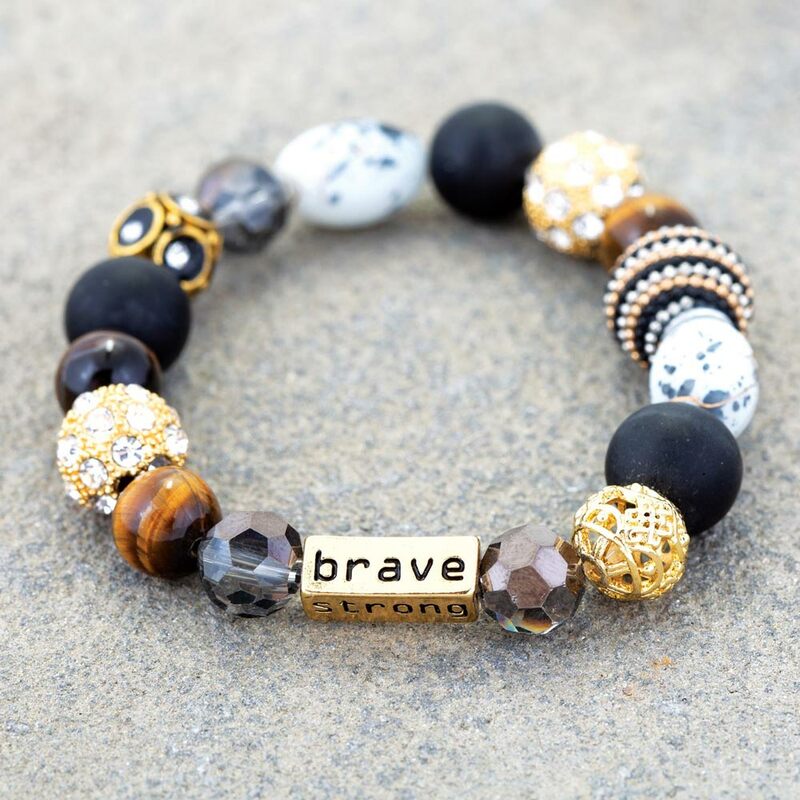 Remember just how strong you are when you wear this beautiful, mixed bead bracelet featuring a brass text bead emblazoned with affirming words like “strong”, “brave” and “warrior”. One size fits most. Polished stone beads on elastic cord. 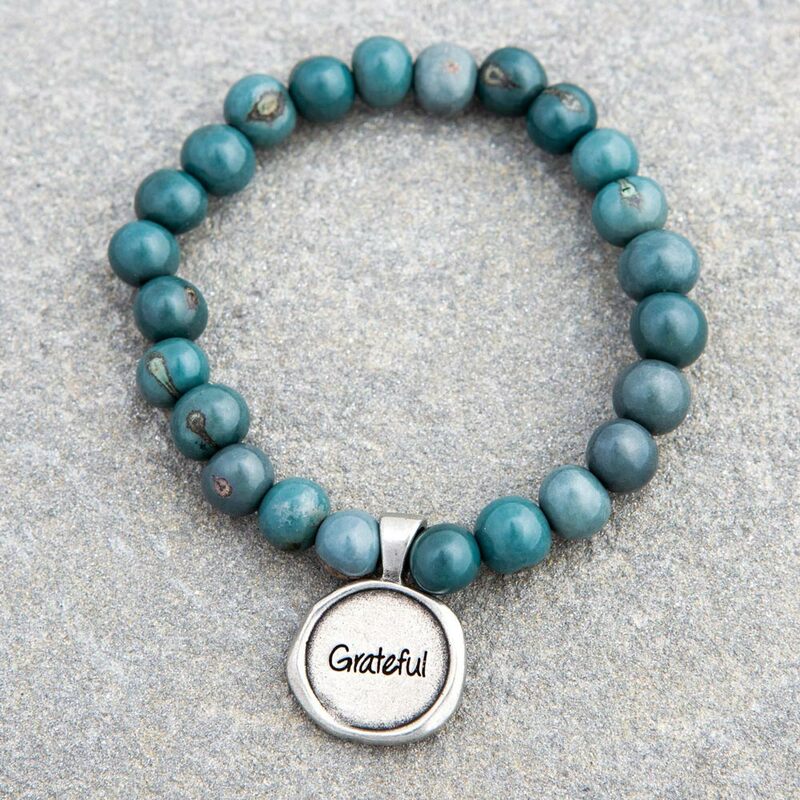 Carry the potent, healing power of acai berries and uplifting sentiments stamped into these unique wax seal bracelet. Each acai berry is drilled by hand and dyed in small batches to create beautiful shades of red, green, and turquoise with pewter charms stamped with “Love”, “Let It Go”, and “Grateful”. 7″ L. One size fits most. Acai berries, recycled lead-free pewter. Made in the USA. 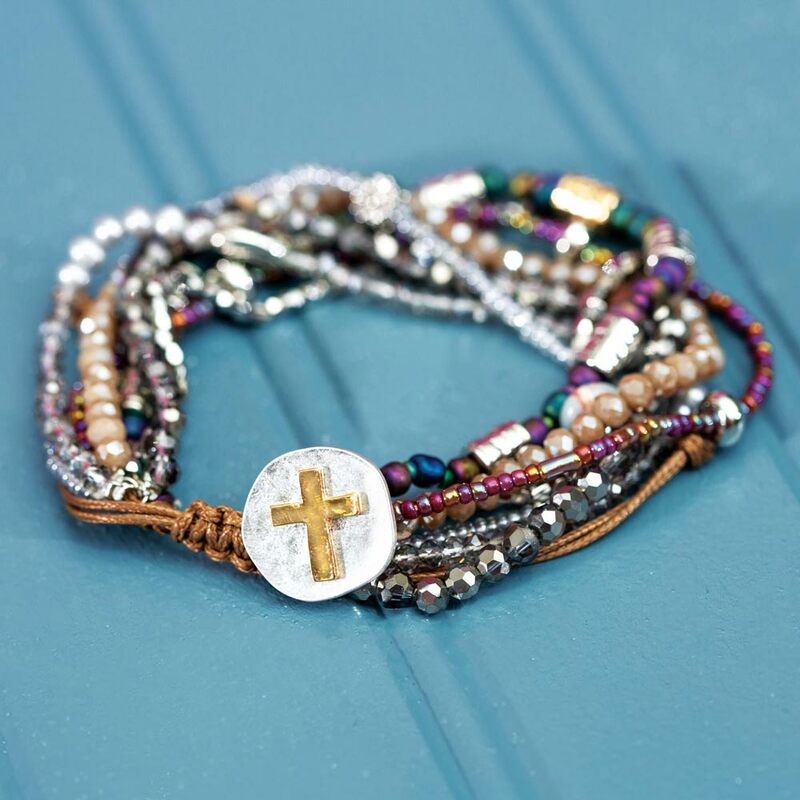 Keep a reminder of your daily walk in plain sight with a beaded bracelet of seven strands, which are meant to remind you to pray over your relationship with God, family, friends, health, safety, our world, and special requests. Made of glass, plastic, freshwater pearl, copper, and zinc alloy. Adjustable and fits wrists sized 6″-10″. Measures 3″ diameter (+4″ extension). 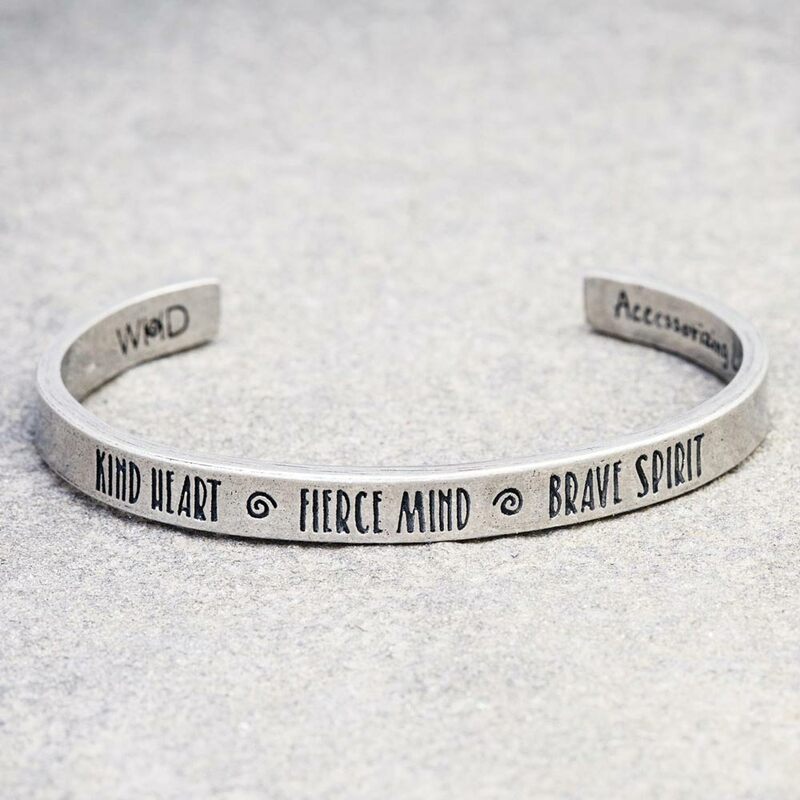 Embrace your strong, inner woman with this stamped metal feminist cuff. Engraved with popular, motivating female slogans to give you that push to the patriarchal finish line. Handcrafted and adjustable. Recycled lead-free pewter. Made in the USA. Wear this mantra for a daily pickme-up. 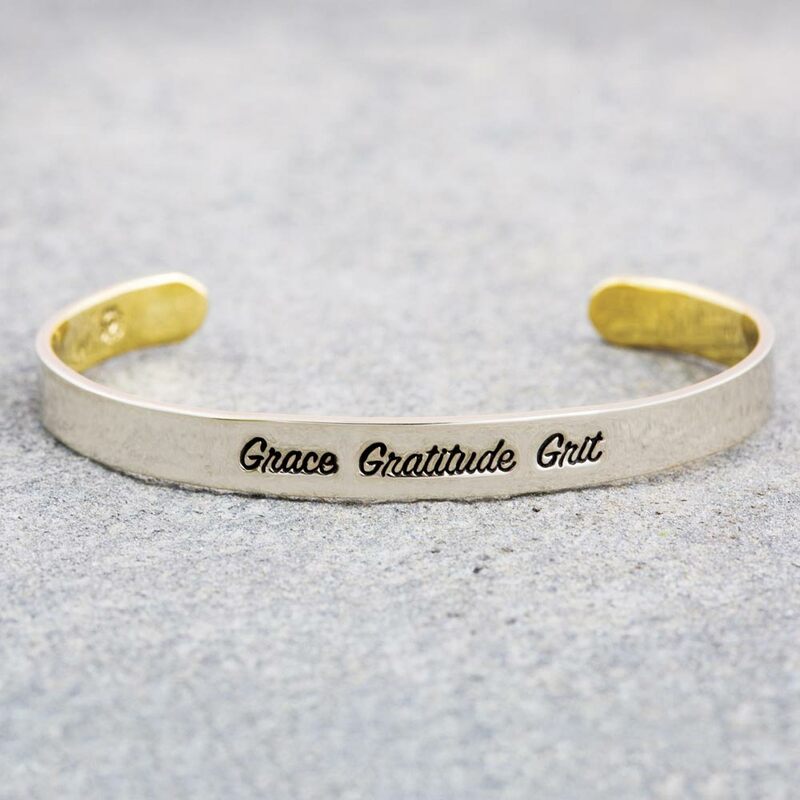 This stamped metal cuff is fashionable and motivational. This stamped metal cuff is a perfect addition to any jewelry collection.Handcrafted and adjustable. Recycled lead-free pewter. Made in the USA.